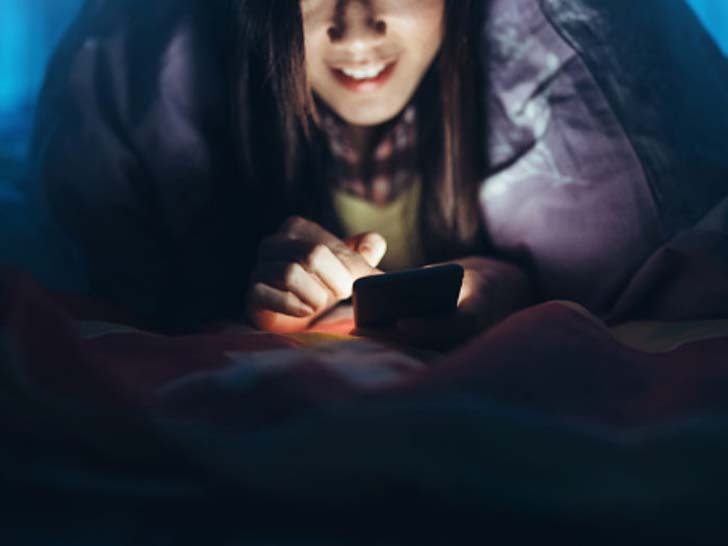 For years we’ve heard that having your phone too close to your body while asleep can affect sleep patterns and general wellbeing, but recent reports indicate that charging a phone under your pillow—or on your bed in general—could actually be pretty dangerous. According to the Newtown, New Hampshire Fire Department, sleeping with your phone charging under your pillow (or on your bed at all) may present a fire hazard. “The heat generated cannot dissipate and the charger will become hotter and hotter. The likely result is that the pillow/bed will catch fire,” the department wrote in a Facebook post. [post_ads]Sharon Cooksey, communications manager at Kidde—the largest manufacturer of fire safety products in the world—says that, according to the 2017 Hartford Home Fire Index, the act of charging a phone overnight is considered a ‘moderate risk’ for causing a fire. However, “The Hartford goes on to say that charging a phone overnight on your bed is high risk, just like leaving your kitchen with the stove on or leaving a room with a candle burning,” she explains. The Newtown Fire Department urges parents to make sure their kids are keeping phones out of their beds for overnight charging. And, according to the National Fire Protection Association, consumers should be aware that lithium-ion battery induced fire incidents can also happen due to overheating, shorting between cell electrodes, crushing or penetration, overcharging and external short-circuiting, battery aging and degradation, and manufacturing defects.